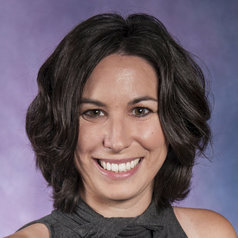 Julie Lesnik is an assistant professor in the Department of Anthropology at Wayne State University in Detroit, Michigan. She received a PhD in anthropology and a MS in kinesiology from the University of Michigan in 2011. Her primary interest is in the evolution of the human diet, specifically in regards to entomophagy, or eating insects. Her current projects include an upcoming book, "Edible Insects and Human Evolution," which includes perspectives on why insects that were important in Native American diets are strongly stigmatized in the United States today.